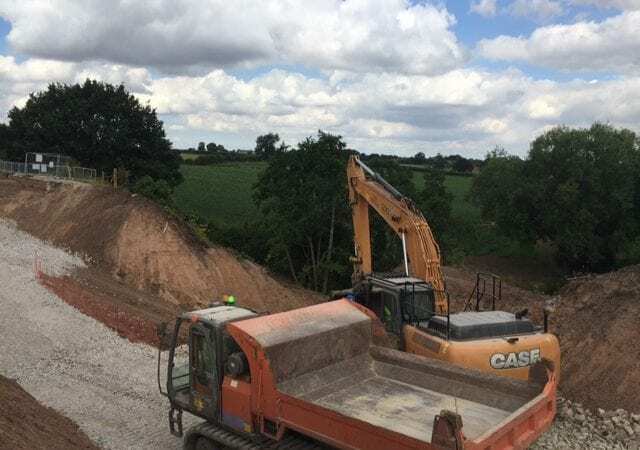 WORK has started on site to repair the breach at Middlewich on the Shropshire Union Canal after a 12m-deep hole was left in the canal bank in March. Diggers on site at the Middlewich breach. Paddle gates on the locks that allow water into the canal had been left open by a member of the public, causing the canal to overflow resulting in a section of the 200-year-old embankment being washed away into the river Wheelock below. 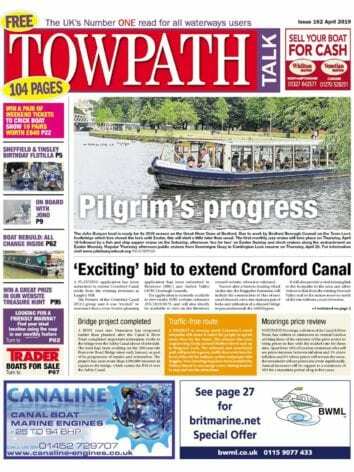 The Canal & River Trust (CRT) has estimated the damage will cost around £3 million to repair. The work is being funded by the trust as well as generous donations from players of People’s Postcode Lottery and the local community, which has already given more than £25,000 to an emergency appeal. Contractors, on behalf of the CRT, have been working over the last few months installing dams either side of the breach, removing dangerous trees and rescuing stranded boats. Since then a temporary access road and construction site compound have been established next to the breach and an access route along the canal bed has now been constructed to allow the physical repair work to begin. Around 4,000 tonnes of material was lost that will need to be replaced to repair the embankment. The canal repairs will include a flexible PVC membrane and a fibre reinforced lining. The Trust is working hard to re-open the canal as quickly as possible with a target to re-open at Christmas. Andy Johnson, senior project manager at CRT, said: “A great deal of work has been completed to get to the point where we can actually start to repair this huge hole. 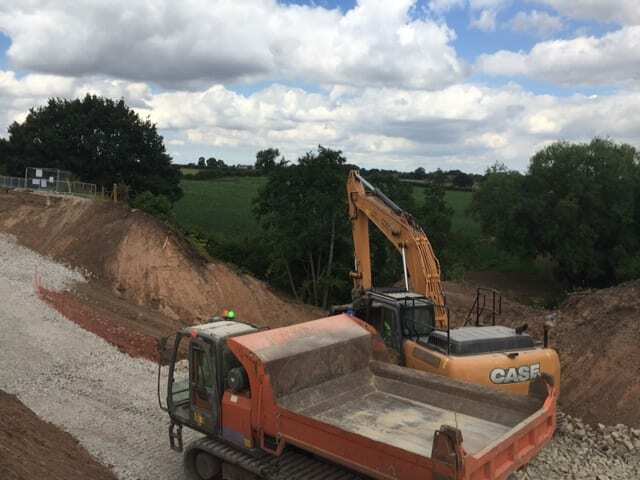 “Behind the scenes, specialists have been ensuring the ecology, heritage and environment around the breach is safe-guarded and engineers have been working on the complex design plan required to repair the canal. Anyone wishing to support this emergency appeal to repair the breach can log on to www.canalrivertrust.org.uk/breachor alternatively text LEAK515 to 70070 to donate £5. Donations will go directly to repairing the canal. Next Post:September 2018 issue out now!